Department of Philosophy, Indraprastha College for Women organised a National Seminar on the theme of Consciousness. Sponsored by UGC, the conference that spanned two days, saw intellectually stimulating discussions and speaker sessions. The Principal, Dr. Babli Moitra Saraf gave the opening remarks, lauding the initiative of bringing dialogue and discussion in the discipline of Philosophy. The first day began with an address from the Keynote Speaker Professor S.R. Bhatt, Director, Indian Council of Philosophical Research (ICPR). ICPR is a Council set up by the Government of India for encouraging research and documentation, among other initiatives related to Philosophy. The first set of speakers brought their researches on ‘Self and Consciousness’. The focus of the discussion was mainly on how consciousness is discussed in the Indian and Western context by Advaita Vedanta philosophy and by philosophers like Descartes. Professor Jatashankar Tripathi, University of Allahabad chaired the session, the panel for which was adorned by Professor Roma Chakraborty, University of Calcutta, Ms. Madhushree Chatterjee, Bidhan Chnadra College, Calcutta University and Ms. Narayani Tignath, a student of Indraprastha College. This was followed by the second slot for the day, whereby more speakers threw light on the theme. Professor Rakesh Chandra, Lucknow University, Dr. Geeta Ramana, University of Mumbai and Dr. V. Sujata Raju from Daulat Ram College, were the eminent speakers who drew curtains on the day. 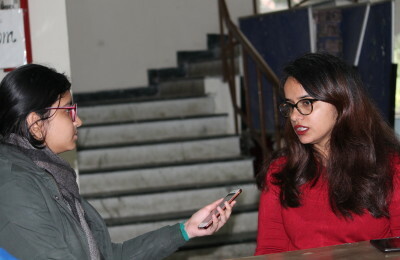 The speakers included Bonsai Practitioner Ms. Aradhna Malik , Ecological Scientist Seema Parihar and Dr. Alok Bajpai, IIT Kanpur’s psychiatrist, among others including Dr. Harshbala Sharma from IPCW. The session was concluded with the Principal’s paper on consciousness in the present day context.